For John Simpson, Iran’s incredible monuments, dazzling landscapes and hospitable people make it a holiday destination beyond compare. Think of a country, largely cut off from the outside world, with a lovely dry climate, sophisticated and charming people, superb archaeological monuments, mountains, deserts, the Caspian Sea. If recent history had been different, it would be the India of the travel business, only without the beggars and the chaos. Iran is, quite simply, the most charming country I know. What always strikes me in Iran is the normality of it. 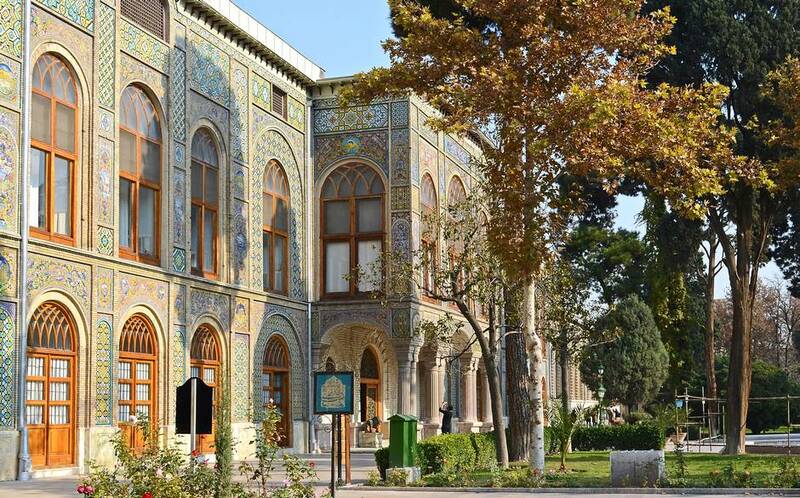 If you wandered down the street in Tehran – say Dr Fatemi Avenue, where the old and much-loved hotel, the Laleh, stands – you would find it suspended between West and East, between the modern and something altogether older and more attractive: the Persian past. This is not Saudi Arabia: women drive cars, run businesses and often forget to cover their hair as they’re supposed to do. I first became aware of this affection in the Eighties, when I ventured out to cover an anti-British demonstration in the city. I was a lot younger then, and accompanied by a charming, fatherly cameraman. The crowd pushed and shoved, and shouted “Marg bar Tacher” – “death to Thatcher”. I asked the cameraman to stand on a low wall and film me as I walked through the angry demonstrators. “I really don’t think you should do this, John,” he said, with a troubled look at the mob. But I’d seen it done before, by an American correspondent. I weaved my way through the crowd, smiling and explaining that I was a Brit, and they opened up a pathway for me, shaking hands and bowing. I finally reached the ringmaster, a professional demonstrator who was beating his chest, the spittle shooting from his mouth in his anti-British fervour. “Welcome, welcome to Iran, sir,” he said, and actually kissed my hand. It went down well on the news that night, I promise you. All right, you’re saying, that was decades ago. But, you see, Iran has been cut off from the West for so long since then that the longing for contact with westerners has actually grown. If you spend an evening wandering round Isfahan, the incomparable city of Shah Abbas on the Zayandeh River, with the distant foothills of the Zagros purple in the fading light, your main problem will be saying no to the kindly people picnicking in the parks and gardens who beg you to join them. Iran is recommended by the Telegraph Travel team as one of the 20 top destinations to visit in 2014. For more on what’s on offer, read our guide to holidaying in Iran. This entry was posted in People & Society, Travel and tagged People, Photos, Travel on September 20, 2014 by socialinform.